This was a difficult theme to find decent subject ideas for. I decided to focus on two subjects. The first being two portions of my morning routine – coffee and sambuca and the second being two comics in two completely different conditions. 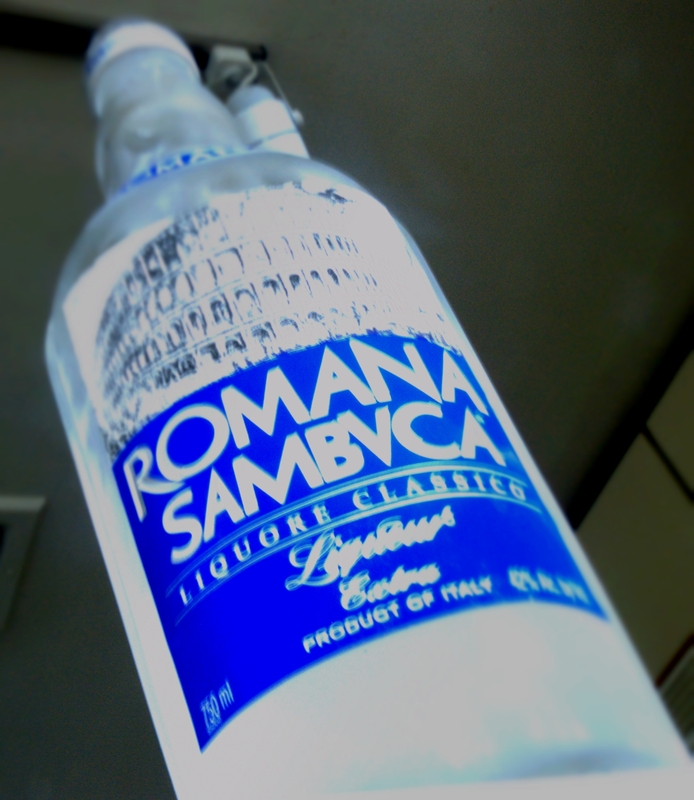 For the first subjects, I decided to photograph my bottle of Sambuca before I added it to my morning coffee. My idea here was to highlight the frozen condensation on the bottle on how it reflected off the natural light almost making the bottle glow. I had to edit down some of the natural light and shadows to help accent this affect. 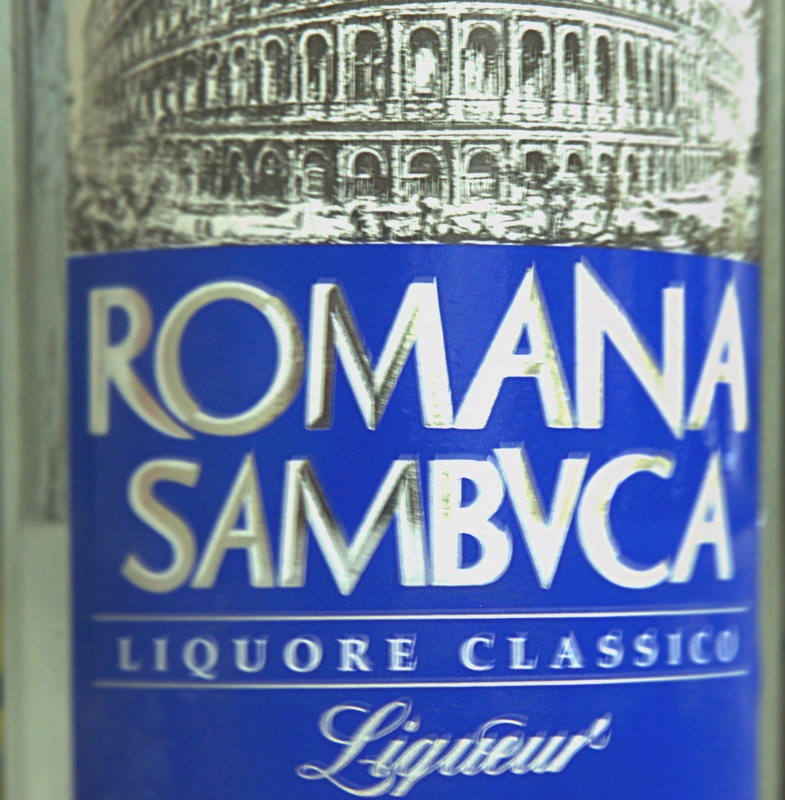 The up-close take of the label I wanted to show the detail in the actual label itself especially with the Roman Colosseum picture. 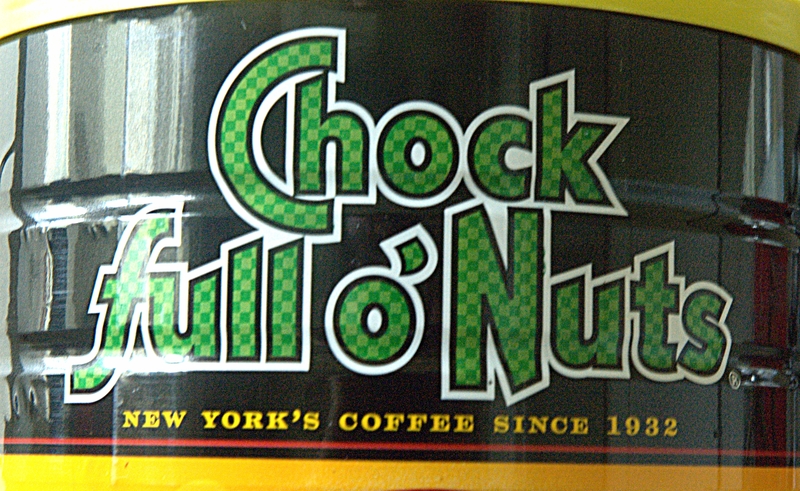 I used the same thinking with Chock Full O’ Nuts label (and yes, I’m 26 and still drink an ancient coffee brand) to highlight the detail in both the tin container and the detail in the checkered lettering. The next two subjects were two different comics I have manged to collect over the years. The first is from 1972 and one of the legendary Jack Kirby’s greatest creations with DC, the anti-hero known as Demon. This particular comic is in relatively poor shape and by comic grading conditions would be considered fair at best. 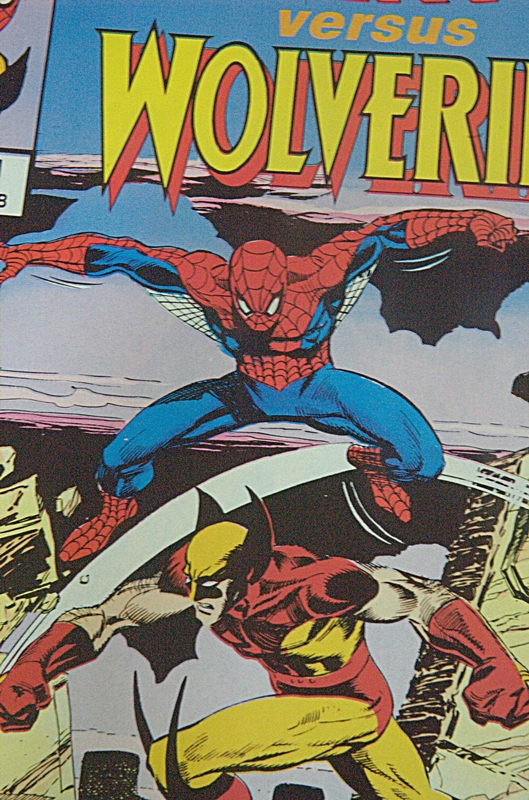 Thus, I decided to photograph the cover along with two strips inside the comic to highlight the age and lost detail of the comic compared to one in near-mint condition my first- edition copy of Spider-Man vs. Wolverine from 1987. Even known both are from the Bronze Age of Comics (1971-1989) you can notice the slight differences in time and the difference of condition they are both in. 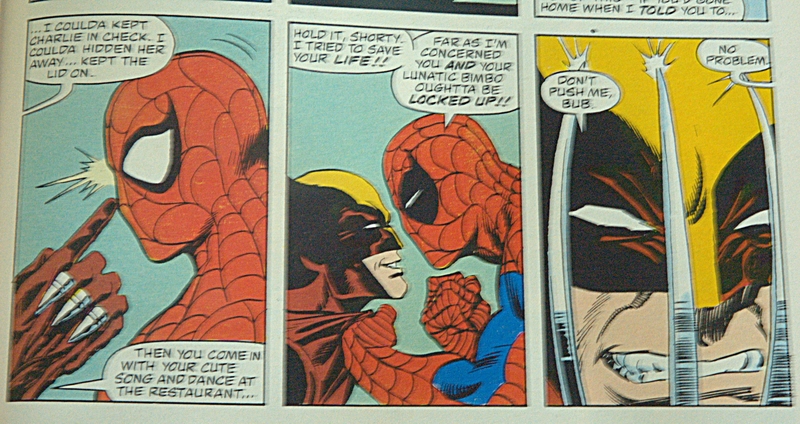 Even though Demon is more than a decade older than the copy of Spidey vs. Wolverine it is significantly more weathered and the overall texture of the comic is worn out. 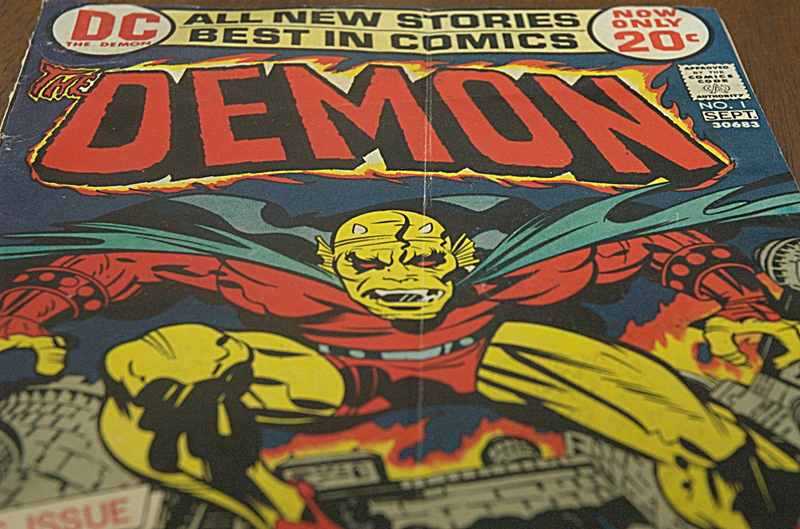 You can notice the serious crease in the middle of the Demon comic cover and if you look closely are much the ink has faded over time in the strips themselves. Where as, you can notice how much crisper and cleaner the ink is on the Spider-Man/Wolverine comic and even with my slightly blurred photograph of the inside of it, how much better the pages look compared to the ragged comic of Demon #1. 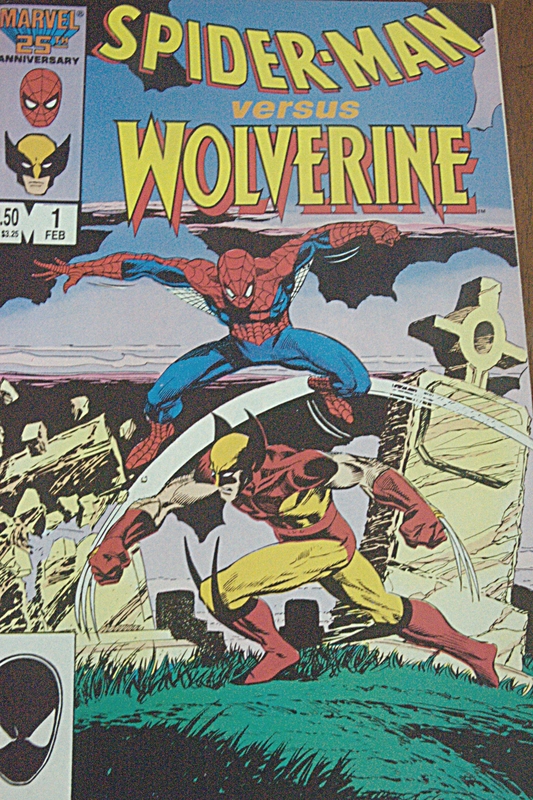 Granted, this is largely due to the fact of when I came in contact with these comics – Demon I found at a yard sale (buying it largely out of nostalgic purposes for one of my favorite Kirby creations) and Spider-Man vs. Wolverine I bought from an actual collector who kept this comic in pristine condition. This entry was posted in class, comics, Marvel and tagged Chock Full o Nuts, Coffee, Comic Book Covers, Comic Photography, DC Comics, Jack Kirby, Marvel, photography, Sambuca, Spider-Man, The Demon, Wolverine. Bookmark the permalink.